World War II in Pictures: Paul Allen buys a Panzer IV - Maybe. a Panzerkampfwagen IV Ausf. H, commonly referred to as a Panzer IV. No, this is not some made-up story to get publicity. 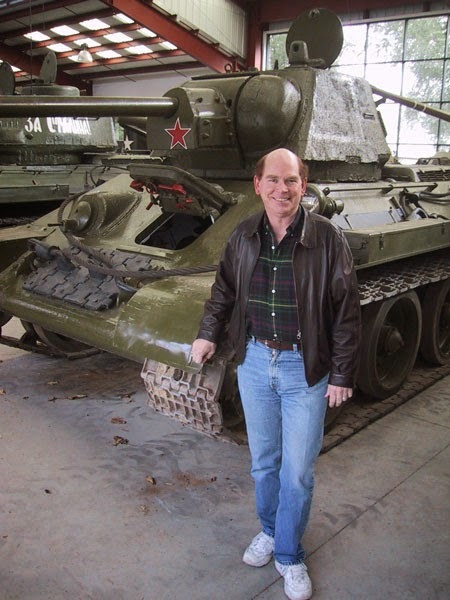 Paul Allen positively lusts over one of the last and best-preserved Panzer IVs in the world. Does this mean that Allen is a ticked off, horribly wronged renegade who out of sheer desperation needs an impenetrable vehicle with which to rampage through the streets of Seattle daring the world to stop him like in the James Garner movie "Tank"? Billionaires wanting exclusive toys is nothing new. Elon Musk, for instance, recently bought a James Bond car, a Lotus Esprit, that was up for auction. Examples are too numerous to list of well-heeled fellows buying this or that fancy toy. Arnold Schwarzenegger famously bought the very Austrian Army tank that he trained in during the 1960s. He still likes to fool around with it. But the Allen case apparently is not something quite so self-directed. I would probably do similar things if I had limitless cash like those guys. Buy a Panzer IV tank, buy a James Bond speedboat or helicopter.. along with some Sopwith Camels, a U-boat, a Heinkel bomber, a P-51 Mustang, a lunar buggy - you get the idea. 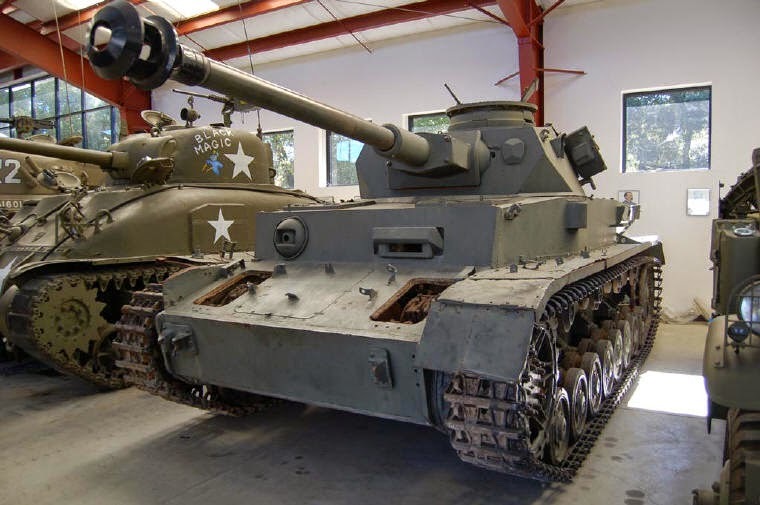 The story goes that a Panzer IV was put on auction in July 2014 but did not sell. Allen runs a museum - several museums, apparently, but only one is relevant here - and he is an expert in the field of weaponry and, well, German tanks. Apparently, he already owns the best Panther (Panzer V) left in the world. Hey, I write about these things. I respect that kind of interest, believe me. After the auction was over - what the final offer was is unclear, but it must not have met the minimum required - Allen or one of his people called up the auction house and offered to buy the tank for $2.5 million. The auction guy obviously thought that this was a no-brainer for a 70-year-old hunk of gradually rusting metal that no doubt requires constant maintenance and replacement parts that have to be re-tooled in custom fashion from scratch. It's not like the German war factories are still cranking these things out. The auction guy on the phone agreed. Hey, he would get a nice commission from the sale. Besides, he knew the extent of interest - or lack thereof - in the tank and was in good position to know its true value. However, the auction guy forgot to talk to the seller, the Collings people. They, for whatever reason, said absolutely no way. Allen, just to be clear, is also the owner of the Seattle Seahawks and Portland Trail Blazers, as well as being a philanthropist. He is not some fringe skinhead. According to his website, Allen has donated millions to causes as diverse as an elephant census, artificial intelligence development, and, most recently, $9 million to help fight Ebola. He is a Nice Guy who does Good Things with his vast wealth. Hats off to Paul Allen, long may he wave. He also owns Vulcan Warbirds, which leases its aircraft to the non-profit Flying Heritage Collection. This is the group that attempted to purchase the Panzer. 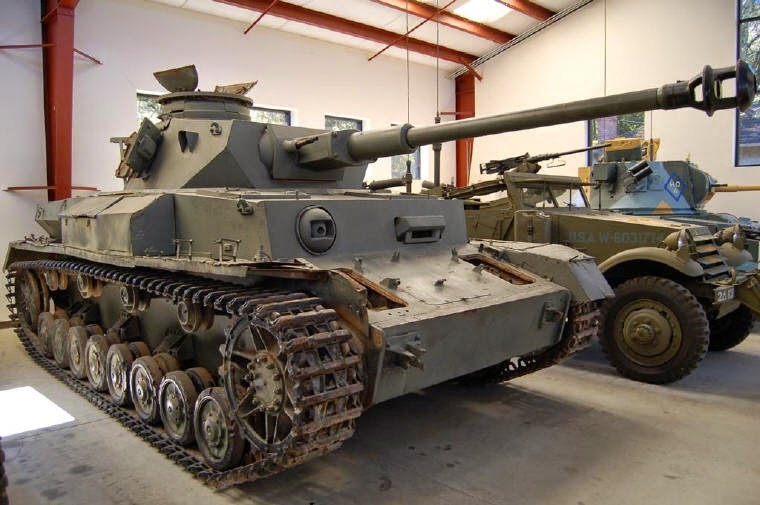 The collection is one of the best in the world - aside from military museums, practically nobody matches its assortment of American, British, Russian and Japanese artifacts, and, more specifically for our purposes, German World War II-era armored vehicles. Paul Allen, via Warbirds, wants his tank. He has sued to enforce what he/it considers a binding contract. Let me just say that any museum that purports to display important war vehicles from World War II is absolutely useless as a review of the period without a Panzer IV. The Panzer IV was the most numerous German tank of the war. It quite literally was the backbone of the Wehrmacht. It was produced before the war, and it was being produced on the last day of the war. It was cheap and effective, and, although now considered a medium tank, was the heaviest German tank until the (too-early due to its teething problems, but those were worked out by the end of the year) introduction of the Tiger in the summer of 1942 (there were four Tigers on the Leningrad front by August 1942, though two broke down before they could see action, their transmissions were a big problem). While the Tiger and the Panther get all the press, the Panzer IV and the Stug series of anti-tank mobile artillery pieces were the machinery that the common soldier saw the most. While the Tigers and Panzers were kept in special formations and spent a lot of time in the repair shops, the Panzer IV was there when it was needed. It made up the bulk of both regular army and SS panzer units. 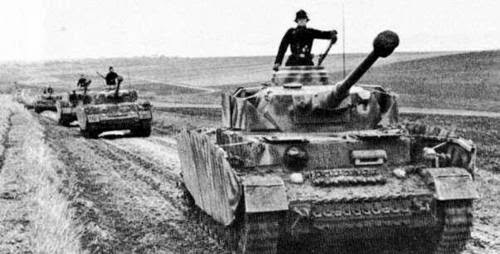 The majority of tanks opposing the Allied landings at D-Day, for instance, were Panzer IVs, though there were plenty of Tigers and Panthers also lurking in the vicinity. The Panzer IV was never replaced or supplanted: as late as December 1944, during the Battle of the Bulge, it made up two companies of Kampfgruppe (Joachim) Peiper, the spearhead of the Wehrmacht during the Battle of the Bulge and the SS unit implicated in the massacre of 84 captured U.S. soldiers at Malmedy. It was a very good tank used by some very bad people. This particular tank has a roundabout history. It served in the German Army in World War II, then was sold to Syria and captured by Israel in 1967. So this baby was still being used in 1967. Sure, it was Syria, not exactly a hotbed of tank development. But it was still in use over 20 years after the war despite the difficulty finding spare parts etc. That tells you something right there about how good these tanks were. Private collector (euphemism for devoted tank fanatic) Jacques Littlefield, who owned 240 tanks (! ), purchased it at some point. Jacques Littlefield - our hero. A man who understood. Now that guy liked tanks. Littlefield passed away in 2009 - a true loss to the entire tank community. Via his will, the collection was donated to the Massachusetts-based Collings Foundation. Rather nice of him. 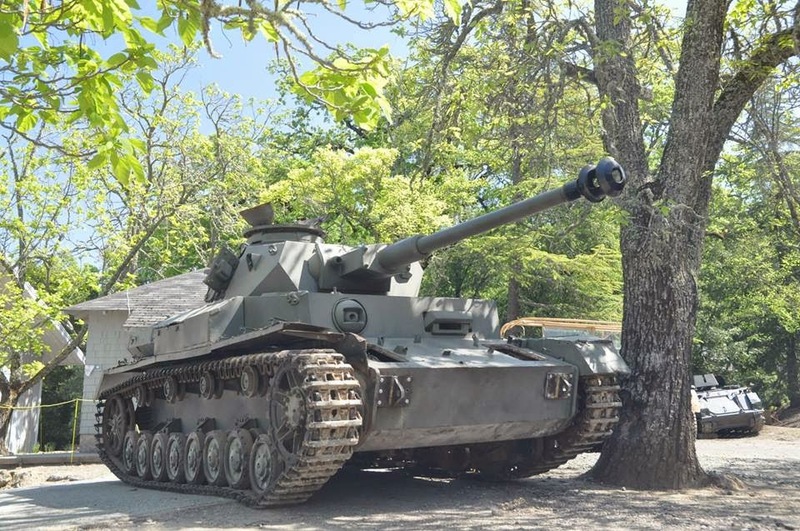 They, however, rather mercenarily decided to sell this Panzer at auction to help build a $10 million museum to house the vehicles they already had. Well, very nice for the other tanks. However, something changed between the time that the Foundation put the tank up for auction and whenever it was that Allen or his flunkie called. According to statements from the Collings Foundation, they suddenly consider the rare Panzer, of which there are only 38 left in the world, to be “core to their collection” and too dear to part with. Though they were ready to sell it to whoever phoned in a winning bid only hours or days or weeks earlier. 1. Paul Allen has a lot of money. The Collings Foundation museum needs money. There is no word on what the Foundation had as its reserve in the failed auction, but now they know who is interested and no obligation to sell (they think). Put that all together and draw your own conclusions. 2. Paul Allen is (rather paradoxically if you ask us, which you didn't) a noted gun control advocate, donating lots of cash to support gun control efforts. Like, to us, so what: he can donate money howsoever his heart desires. But could this wacky and seemingly fickle change of heart by the Foundation be ... political? Reason No. 1 is almost certainly it. Money talks. The idea of Paul Allen owning the tank is fine with us. He has the money to preserve it properly and will display it for the public to view, unlike some other private collectors. They ain't building any more of these babies, that's for sure. These things were rusting in junkyards across Europe sixty years ago. Now, they're almost all gone. Naturally, Paul Allen doesn't want to pay more. You and I and the Foundation know that money means nothing to him and he probably earns $10 million a month from his vast holdings, but he was poor once and no doubt doesn't like to be "taken." He has sued to enforce his bargain with the foundation's agent at the auction house. Now, whether the auction guy had sufficient powers as an agent to complete a binding deal after the auction was closed - that will be up to the courts. But the Collings Foundation has a pretty good case if you (again, you didn't) ask us. To anyone concerned about the morality of revering instruments of death and destruction used by a murderous regime to inflict pain and devastation and death on good and innocent people - you have a good point. But German machinery didn't do anything by itself. It was the people who were bad. Tanks are just metal, built by starving slave laborers whose only memory is encased in this cold hardened steel that now sits in museums around the world as a sort of memorial to them and their work and craftsmanship as well as everything else. We can't go back and take away their pain and death, but we can admire what they built regardless. What you read into tanks of the period is up to you, but it isn't necessarily a glorification of Hitlerism. Even if you consider that a bit of a stretch, it simply makes sense that you can't understand what your own people accomplished unless you see what they were up against. Properly handled, war memorabilia is a valuable educational tool. This is probably just about the Benjamins. As Crapgame said, "Maybe he's a Republican. Do a deal." (If you get that reference, my hat is off to you). Bet on Paul Allen getting his tank at some point. Don Rickles (Crapgame) to Clint Eastwood (Kelly) and Telly Savalas (Big Joe) in Kelly's Heroes (1970). A great tank film, with Donald Sutherland (Oddball) in charge of a squad of Shermans who didn't "count on taking on no Tigers! ".